This page contains pictures and information about Beetles in superfamily Tenebrionoidea that we found in the Brisbane area, Queensland, Australia. Tenebrionoidea is a very large group of insects included more than twenty beetle families. Most of them have 5 segments on front tarsus, 5 on mid and 4 on hind. The tarsal formula 5-5-4 is a fairly reliable way to recognize a beetle in Tenebrionoidea (others are 5-5-5 or 4-4-4). 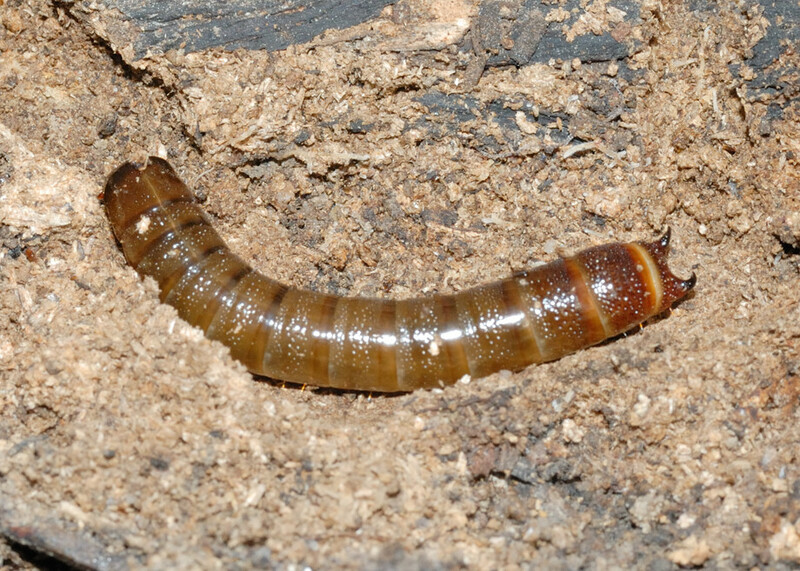 Larvae of Tenebrionoidea are usually long and narrow with well developed legs. Most are fungal feeders live within rotting wood or on ground with rotten plant materials. A few others are predator or parasitic. Most of the Tenebrionoidea species have the short live adulthood. Adults usually are nectar feeders, can be found on flowers or tree trunks. Beetles in the family Mordellidae can easily be recognised by their body shape. They are small to medium in size. They are usually black or dark brown in colours and some species are white spot patterned. Most beetles in this family have long and narrow body in wedge shape. They are yellow, brown to black in colours. Male has the flabellate antenna while female has the serrate antenna. The head and thorax are strongly deflexed. This is the largest family in this group. 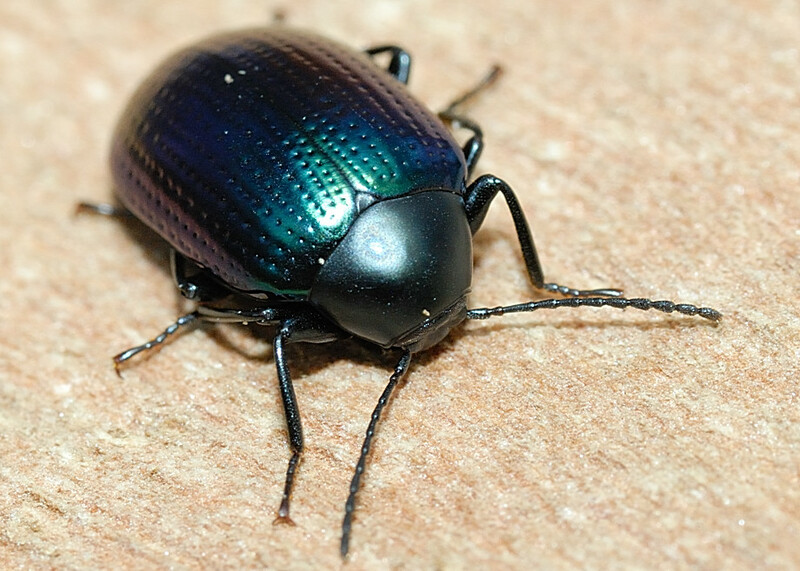 Beetles in this family are usually black or brown in colour, highly variable in shape. Their antenna are medium length. They feed on variety of dead materials of plants and fungal. Adults Oedemerids feed on pollen and can be found on flowers and leaves. They have elongated and parallel-sided slender body and usually with mouth parts expanded. The antennae are long and in filiform. They are from small to medium size. Beetles in this small family are usually bicoloured with bright colours. Their head is strongly constricted behind eyes to form narrow neck. The thorax is usually narrow as well. They have long snout for flower-visiting, typical of pollen feeders. Their eggs are lay on flowers and larvae are parasitoids of bees. 1. A Bit About Beetles In Brisbane - Geoff Monteith, Save Our Waterways Now, 2006. 2. Insects of Australia, CSIRO, Division of Entomology, Melbourne University Press, 2nd Edition 1991, p 543. 3. A guide to the Genera of Beetles of South Australia Part.1-8 - Matthews, E.G. 1987-2002. 4. A Guide to the Beetles of Australia - George Hangay and Paul Zborowski, CSIRO PUBLISHING April 2010. 5. Superfamily TENEBRIONOIDEA - Australian Biological Resources Study, Department of the Environment, Water, Heritage and the Arts, 2004. Last updated: March 29, 2011.